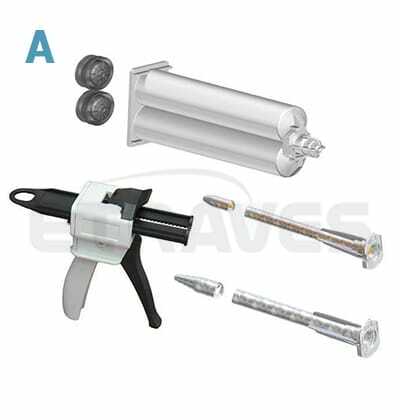 Our in-depth knowledge of the industrial adhesive market also enables us to offer gluing accessories: glue application guns, mixing nozzles for two-component glues and cannulas. 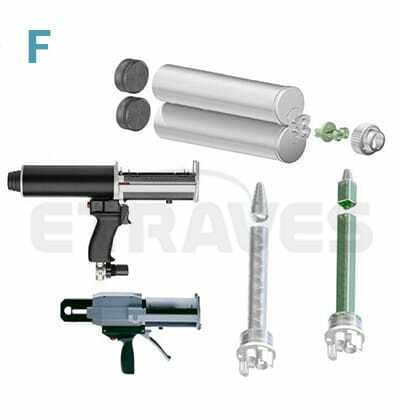 Etraves is the French distributor of Sulzer Mixpac™. Whatever quantities you need, please contact us. 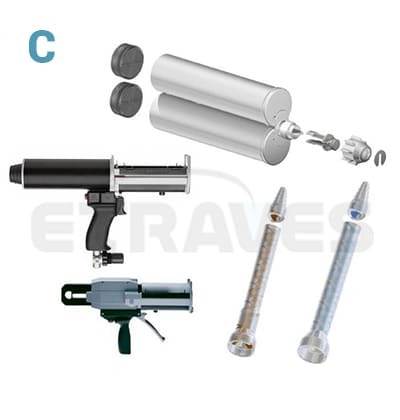 Two-component products mainly used in industry. This system is available in 50 ml and 75 ml. New generation A – 50ml system: easy to use and reclosable without contamination. 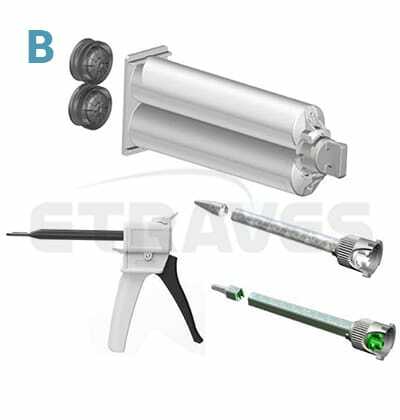 Two-component products mainly used in the industrial and construction sectors. This system is available in 200 ml and 400 ml. New generation of the C system: reclosable without contamination and easy to use. Two-component products for professionals and individuals. 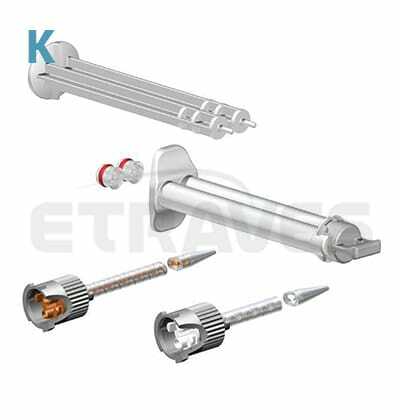 This system is available for volumes ranging from 2.5 ml to 10 ml, with manual pusher. New generation of syringes: reclosable without contamination and easy to use.